I adore skincare, and trying new products from brands I've never tried before just makes me so extremely excited. Personally I do find products can either be a hit or a miss especially when it comes to your skin. I suffer with dry skin and redness and it's also quite sensitive so I'm forever wary about what I put on it. I'm sure by now from all the other skincare posts I've wrote you know I love skincare products with natural ingredients. Nothing makes me happier knowing I'm taking off a full face of makeup and pampering my skin with natural ingredients. 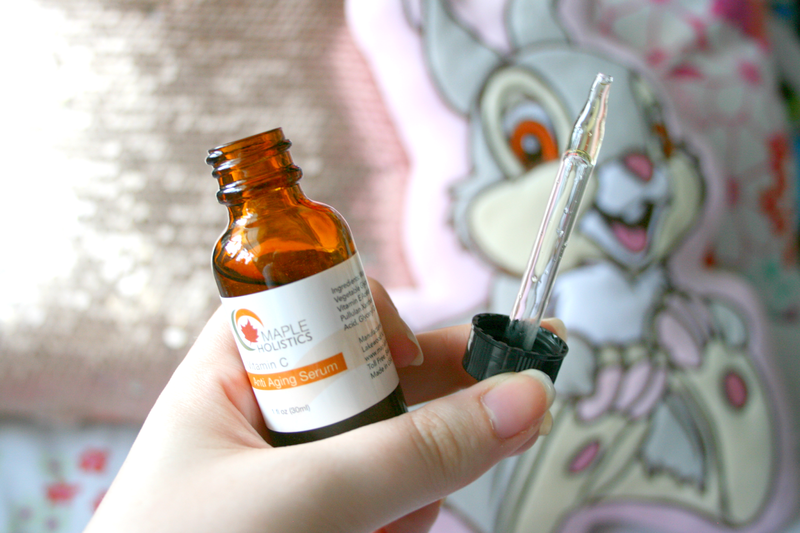 Recently over these past few weeks (definitely well over a month) I've been trying out the Maple Holistics Vitamin C Anti-Aging Serum* which was a new product to my skincare routine as surprisingly I'd never used a serum before this as I mainly stuck to creams and facemasks to moisturise and treat my skin. Something I will say that I never use is a sun protector (because I live in Ireland) but there is sun protector properties in this serum to help protect your skin from any uv damage which I think is a really nice extra. As for the product itself it leaves my skin feeling so soft and hydrated! I'm not mad about the scent if I'm honest but I overlook it because of the results it gives. It definitely keeps my skin well hydrated so much so that if I even notice any dry patches appearing I simply put this on and by the next morning it has disappeared. I'm almost 99.9% sure that it has also helped even out my skintone as I did have some discolouration but these past two weeks I literally cannot find any of it. It's in no way greasy on the skin and absorbs in quite quickly. I really like using the little applicator because it's one of those fun sucky ones (am I the only one who thinks this?) but it also just makes it incredibly easy to apply to your face really quickly without any mess. For only $11.77 which works out at roughly €10.37 a bottle it's well worth picking up to give a try! 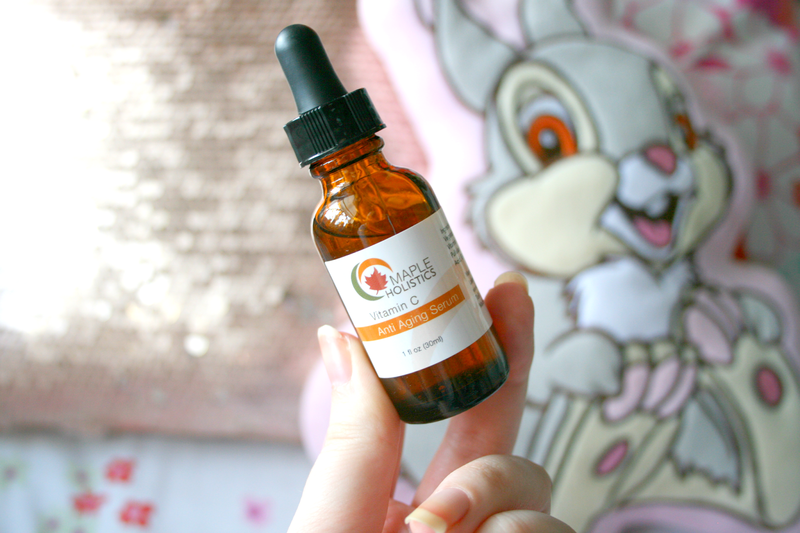 You can find the serum and all of Maple Holistics other products on their website here. I love the sound of this serum, I always think that if a product works well you can overlook any flaws like the scent! This sounds like a lovely serum!